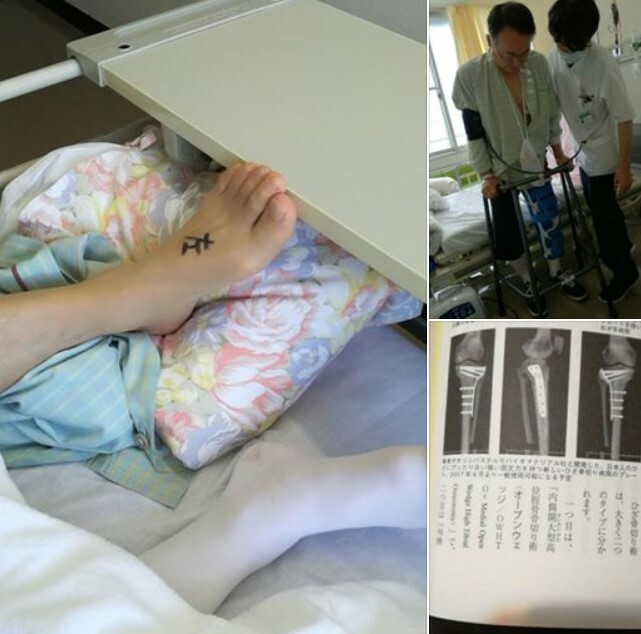 October/26/2018(Fri) The surgey of the right leg was also success. This is how surgeon Takeuchi did the operations. and the same above the knee as the curvature was severe. 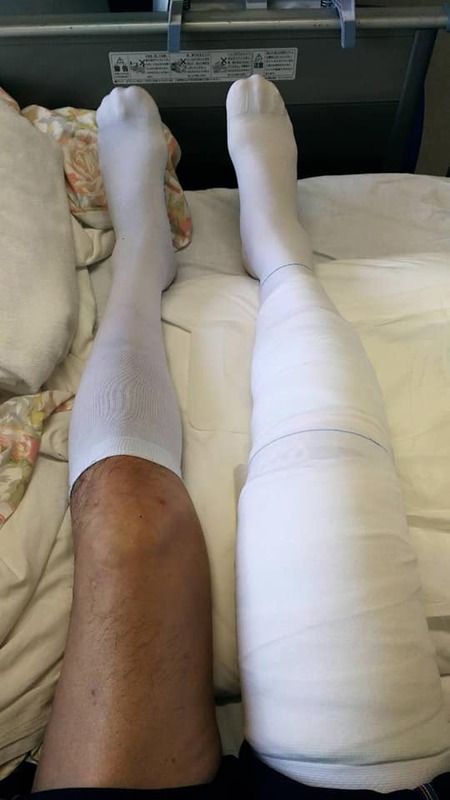 June/05/2018(Tue) Left leg ready for operation make sure they do the correct leg..... extensive damage already present but surgeon straightened and repaired perfectly. Tibia, fibia and fibula cut and bone wedges plus plates, wire and pins. The bionic man. Big relief after 5 to 6 hours in surgery. Rehabilitation now and six months later the other leg. The next day, I tried standing myself, but the plates and screws are also above the knee..